SAPPHIRE Technology has just announced a new high performance model in its latest series of graphics cards - the HD 6870 TOXIC Edition with Vapor-X cooler. 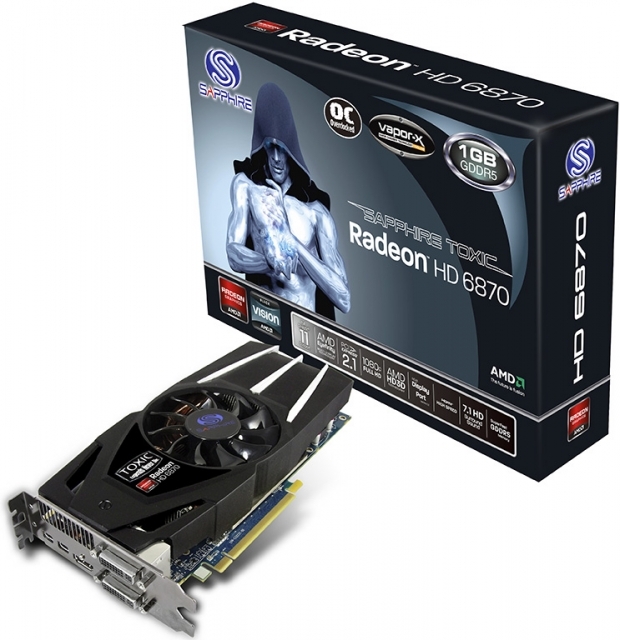 The SAPPHIRE HD 6870 TOXIC Edition has the same internal architecture as the standard model, with 1120 stream processors and 56 texture processing units, but clock speeds are increased to 970MHz for the core and 1150Mhz (4.6 Gb/sec effective) for the memory giving users a considerable boost in performance. The same SAPPHIRE exclusive cooler will also be offered on a model with the standard clocks of 900MHz core / 1050MHz memoy (4.2Gb/sec effective) - the SAPPHIRE HD 6870 Vapor-X Edition. 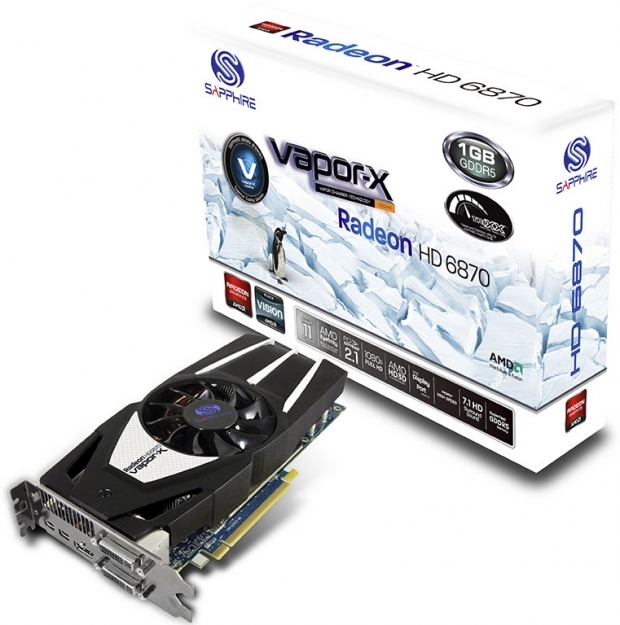 The SAPPHIRE exclusive Vapor-X cooler ensures that the card runs quietly and efficiently. Together with other special hardware features including on-board 10-phase power control and SAPPHIRE's highly efficient, cool running patented second generation Black Diamond chokes this ensures there is a good margin for performance tuning (overclocking) by enthusiast users. SAPPHIRE's overclocking tool for these models - TriXX - is available for users to download from the SAPPHIRE Select Club - free for SAPPHIRE enthusiasts to join online.